Decluttering can be either maddening or completely freeing, but it doesn’t have to be completely painful! 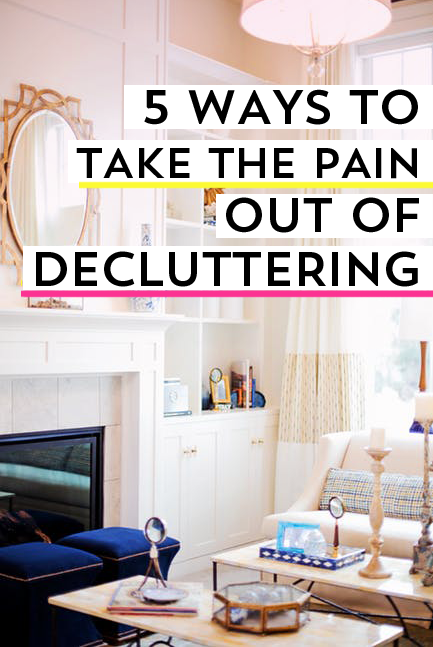 If you’re looking to get more organized and pare down on the physical clutter in your life- I have some tips for you to take the pain out of decluttering. Your stuff is here for a reason, perhaps several reasons. Clutter is usually the result of two things- reactivity and avoidance. When we’re just too busy to take time to do self-care and organize, things pile up both mentally and physically. At other times, clutter is the result of avoidance of emotions. The stuff in our lives comes with mental baggage- concern, guilt, regret, longing. It sometimes is easier to avoid dealing with the stuff so we don’t have to deal with how it got there! Life comes at us so fast, we simply accumulate and put off dealing with things since our mental hard drives are full. What clutter have you been putting off? What purpose did the items serve, and what emotions is the stuff protecting? Is your clutter the result of an overfull life that you need to take some personal time to think over, or, did your clutter result from other sources and you’ve been avoiding the stuff and the feelings attached to them? Some of the smallest fixes, can be big wins. One thing that usually frustrates me is the technological clutter, it can be hard to know what to do with unsightly cords that dangle everywhere or what to do with old phones that have accumulated in a desk drawer. Learning what to do with old electronics when you’re tidying up your home is a good place to start and you’ll instantly feel calmer! If there are other small but troublesome areas of your house that cause you stress, go after those one after the other, for quick wins and to build your motivation. Decluttering certain trouble areas like medicine cabinets, fridges and pantries can be great starting points to get the momentum going. If you’re feeling like decluttering is a stress fest, start there first. For these areas take some time to research how to tackle bigger spaces before you start- a video to help you maximize your garage space can save you time before you run to the store for organizers. It can be tempting to just go out and buy a bunch of storage bins, but first take time to visualize the space and assess what’s in there. If you simply tackle a clutter prone area with better storage solutions, you still have the same amount of stuff and the problem will return quicker than you’d hope. Take time to tackle the problem spots not just with organization, but with a bit of purging. Set A Mood & Give Decluttering The Time It Deserves, Don’t Rush! We already unpacked that idea that clutter is an emotional experience- both in how it comes to us, and how we deal with it when it stays. If you find decluttering to be an emotional struggle, take some time to set the mood and go into decluttering with a plan. Many of us see decluttering as another chore to cram in on a Sunday afternoon, which can lead to the stress of cramming too much in before the weekend ends. While decluttering on a regular basis can be part of your regular routine, just like laundry and paying bills- it can be an unnerving experience to think you can crank out a whole room to be organized as quick as folding your towels. Instead of seeing decluttering as a quick chore like doing dishes which can be done on autopilot, give it the mind space and time it deserves. If you struggle with decluttering, hoping you can just deal with it in the space of a Netflix episode or before friends come over, could set you up for a frustrating experience. Carving out a personal day to tackle the emotional experience of clearing away old clutter, and making more room in your life helps reframe the task to do it well with less anxiety overall. Finally, Set Rewards- Even Free Ones! Of course, when you give yourself the proper time to tackle a decluttering session, you should also take some time to reward yourself. Set an achievable milestone, even if it feels too small to celebrate. Truly, if you’re clutter prone and it’s been nagging at you, celebrate that the hall closet is now functional- you deserve it! Rewards don’t have to be expensive- you could get an emotional boost simply from taking your stuff to a charity that speaks to you. Plus, being able to make a small space feel bigger and more put together to get to enjoy it again is truly an uplifting experience! Another reward could be to invite friends over to visit, which likely is something you’ve been putting off if you’ve been embarrassed by your clutter. Show off and celebrate! Chances are, there is something you can do to celebrate your newly decluttered space that could have a huge emotional payoff and won’t cost you a dime. Simply enjoying your space and taking time to paint your nails if you haven’t had a clear space in weeks or your polish went missing a season ago, can feel amazing when you’ve made room in your life to enjoy the little things! 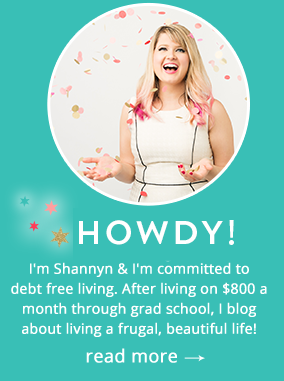 I hope you’ve enjoyed these tips to help take the pain out of decluttering. If you have any additional tips or stories on how you tackled a cluttered room or even a cluttered house, what helped you? I keep a box handy that I just put things in that I’m tired of or not using just to maintain as I go along. I love to do a deep sweep every year but this helps keep it less overwhelming when I need to move.